Have you ever dreamed of swimming in a pink lake? Well, you don’t have to dream anymore, as it really exists 5 km away from the Senegalese capital, Dakar. Also, the Senegalese people consider it as a treasure as it’s not only a unique touristic attraction but also a salt mine due to the huge amounts of salt that got extracted from the lake. So, What is the story behind that Pink Color? 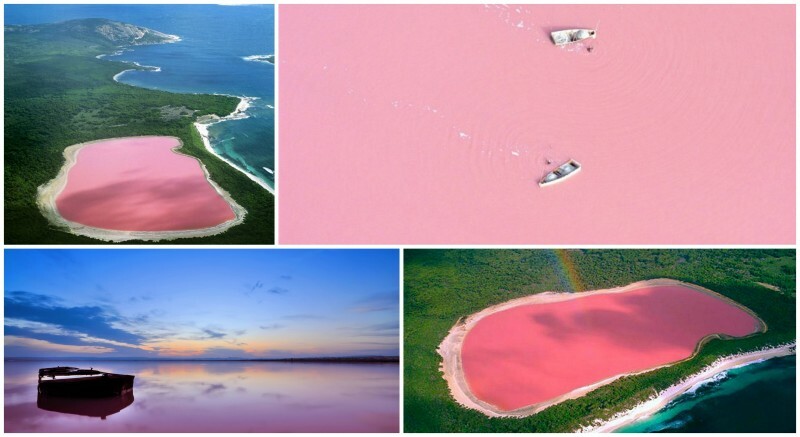 The lake contains a kind of bacteria called “Salt-Loving Organism Dunaliella” which produces a red pigment on the algae and that’s the main reason behind that pink color. Also, what is really amazing is that kind of bacteria is a globally useful kind. However, the citizens there collect the algae and use it to extract about twenty-five thousand tons of salt. Also, what is really distinctive about the lake is that it’s not always pink as in winter its color turns to be normal and this is because that the pink color appears only due to the sun’s interaction with algae, that’s why in winter when the sun is almost disappeared, the lake’s color turns to be normal. While during the dry season, the color is particularly visible. Also, the percentage of salt is too high in the lake, so people float easily in it while swimming just like the Dead Sea. Stay tuned to Blue Ray magazine to know more about the secrets of the world.